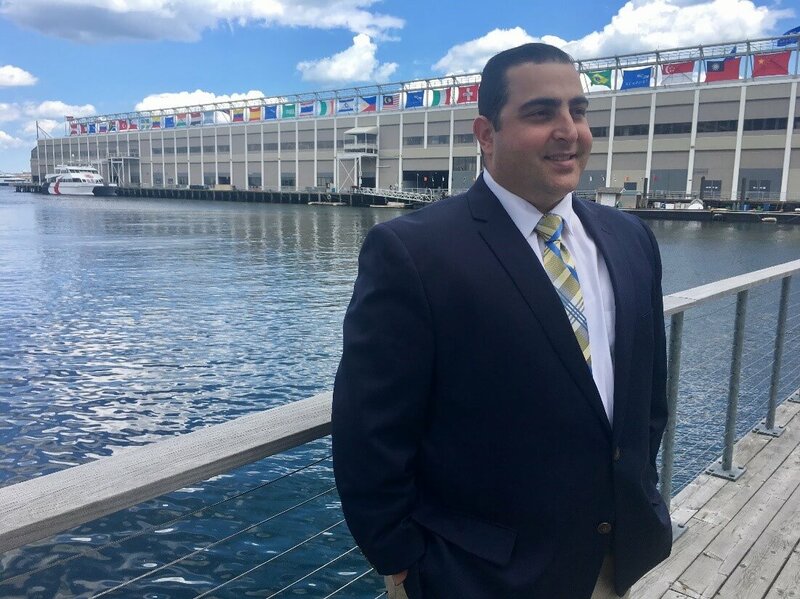 We are thrilled to introduce you to your concierge at PIER 4, Jeremy DiFlaminies, who has more than a decade of experience in luxury hospitality. Jeremy joins us with FirstService Residential, a renowned concierge company that rivals five-star hotels, resorts, and country clubs, that is making its Boston debut at PIER 4. Jeremy is present at one-on-one appointments with Advisors Living at the PIER 4 Sales Gallery, and will continue as the building’s concierge when it is complete in 2018. Throughout my career, I’ve learned that simple things can make a big impact on someone’s day. I find fulfillment in making my clients happy or less stressed by helping them out with small and complex tasks. What do you consider your most impressive career moments? I helped a client move from Boston to Kuwait, coordinating the transfer of his belongings including his cars. My coordination saved him thousands of dollars. Just five hours after being asked, I secured a private jet for a client from Boston to the Hamptons. I was told this would be an impossible request to fill, but I pulled it off. I have worked with a celebrity family that travels to Boston often, providing service and security for their family. There’s a sense of satisfaction that comes with knowing you’ve made someone’s day easier or better. That’s why I love my job. When you love your job, it’s not work. What’s your favorite thing about PIER 4? The views! There’s something beautiful to look at from each vantage point at PIER 4 – to my left is the city / the ICA, straight ahead is the harbor, and the Lightship Nantucket. It was amazing to watch the historic tall ships visit for Sail Boston this summer at PIER 4. Boston is full of history, yet full of new excitement and energy. It is also a very walkable city. I could walk from Seaport to the Financial District to Beacon Hill in about 30 – 40 minutes. The city is growing but still manageable with amazing cultural destinations including our neighbor, the ICA. What do you love about the Seaport specifically? I’ve watched the Seaport grow over time and add more vitality to the City of Boston. It is the place to be right now. The neighborhood is booming with a diversified retail base, including health and wellness, prime restaurants and cultural attractions. My current favorites are Strega Waterfront, Lola 42, and Mastros Ocean Club, and we are looking forward to announcing even more exciting restaurants that will be making their home at Pier 4.